Einstein started it all with the theory of relativity. Since then, scientists have conducted many studies and experiments to demonstrate his theory. Time dilation is one concept that’s associated with the theory of relativity. Simply defined, time dilation is a difference in the elapsed time measured by two observers. The difference is either due to a velocity difference relative to each other or if the individuals are differently situated relative to a gravitational field. It would take a lot of time and effort to calculate time dilation. Fortunately, you have this time dilation calculator which can assist in getting a better understanding of relativistic effects and of the time dilation formula. How to use the time dilation calculator? How to calculate time dilation? 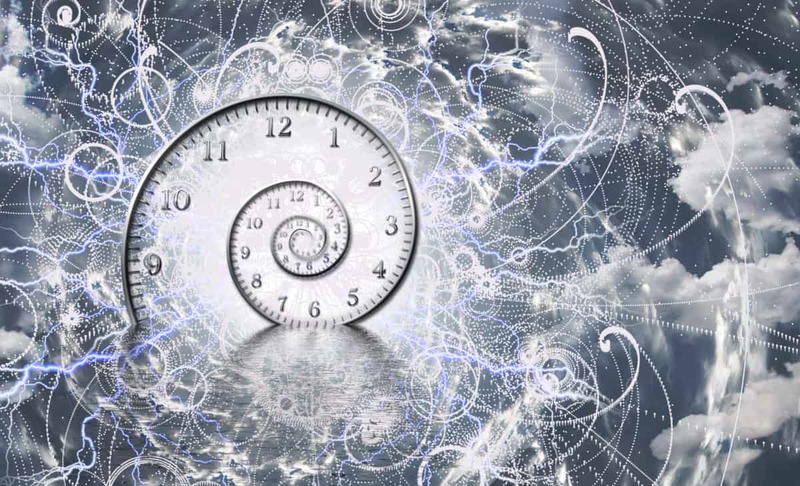 How much does time slow down at the speed of light? How much slower is time in space? First, enter the value for the Time Interval then choose the unit from the drop-down menu. Then enter the value for the Observer Velocity and choose the unit from the drop-down menu. Upon entering both amounts, the calculator will provide you with the value for the Relative Time instantly. γ refers to the Lorentz factor. A closer look at the formula would tell you that for you to notice the difference between the two intervals of time, the observer’s speed must be very, very high and should be of the same order as the speed of light. This is the very reason behind the counterintuitive nature of relativistic effects. It also means that we will not be able to experience these effects. Again, if you want to calculate time dilation without having to perform the manual computation, you can use this dilation calculator or speed of light time dilation calculator. Time dilation is a very simple occurrence and can only happen if the speed of light is the same for everyone in the same media. The rate of time that’s perceived by an observer may change with respect to an object which approaches the speed of light. Therefore, two occurrences in the space-time continuum which have different time origins with respect to each other won’t ever overlap with each other. What you experience with time will remain constant even as you experience a change in speed. However, the relation of your time with those that you leave behind will change. Trips conducted by astronauts have demonstrated this when their clocks moved slower in direct relation to their speed while leaving Earth. Time does not really exist but is just a representation of motion. Terms such as speed should then require an outside reference. In the case of the astronauts, they measure speed in relation to the sun and the Earth. From this, they adjust their time as needed. The closer we are to the speed of light, the shorter is the traveling time. For an observer who isn’t moving, if a star is one light year away, then it would take approximately one year to reach that star traveling at the speed of light. If we travel slower than the speed of light, the journey will take longer. Depending on your speed and position, time can either move slower or faster to you in relation to others people in another part of time-space. For instance, those astronauts in the International Space Station age a little slower than those who are on Earth. This is due to the effects of time dilation, and there are two variables that can cause this. The first one, known as “gravitational time dilation” means that time will appear to move at a slower rate near massive objects since the gravitational force of the massive object can bend space-time. In simpler words, time tends to move at a slower rate as the gravity increases. This same phenomenon is the reason why time passes more gradually for objects that are closer to the Earth’s center because the gravity there is stronger. Does this mean that spending more time in the basement can prolong life and thus outlive everyone else on the Earth’s surface? That’s just plain silly. The slowing effect is so minuscule that we would hardly notice it. Should you still decide to become a basement denizen, it is best to remind you now that slowing down will gain you only a fraction of a second for your entire lifetime! The second variable known as “relative velocity time dilation” means time tends to move slower the faster you move. The most evident example of this is the case of the twin astronauts. One stayed on Earth, and the other traveled into space. When the twin who traveled returned after a few years, he got shocked and surprised that the twin brother he left on Earth had aged more than ten years. This may all sound theoretical because has been no experiment conducted to prove it yet. But there is evidence that it is real and can happen. Scientists did launch an atomic clock into orbit and back while maintaining an identical clock here on the planet. Their finding was that the launched clock was slightly behind than the Earth clock. No matter how small the difference, relative velocity time dilation is real.